wanderlust ATLANTA: Scarecrows, Goblins, Ales...and a Unicorn! 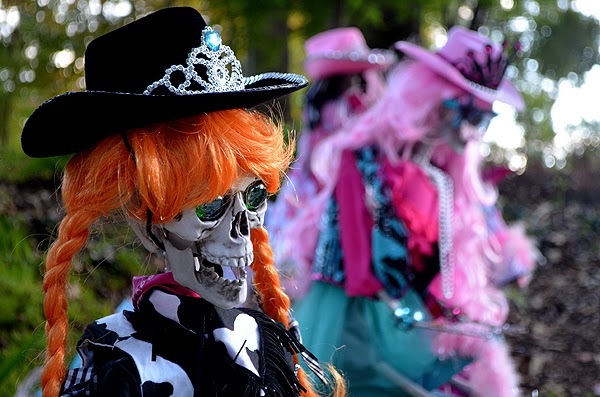 Atlantans have enjoyed scarecrow invasions for more than a decade, and this year they're joined by a host of other creatures including a unicorn, mammoth butterflies, and gigantic dancing fish. 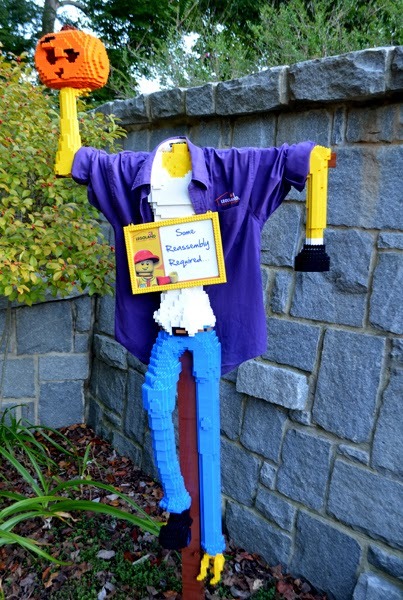 Once again, the Atlanta Botanical Garden is giving our citizens a spectacular Scarecrows in the Garden exhibition, this year coupled with Imaginary Worlds: Plants Larger Than Life. 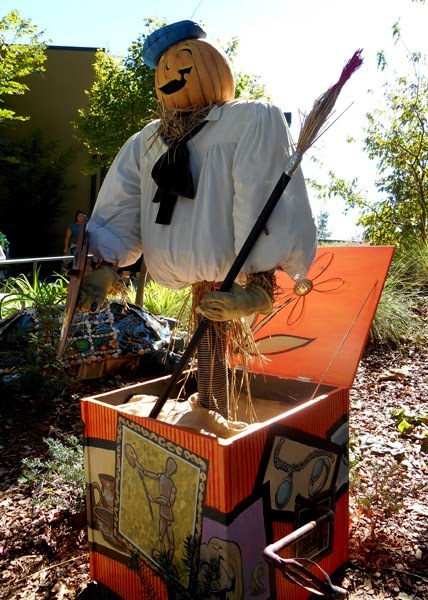 And Scarecrows in the Garden comes with ample programming, including Thursday nights Fest-of-Ale. 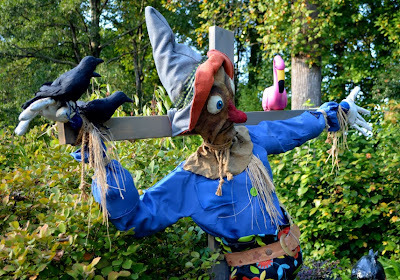 The scarecrows are scattered throughout the Southern Seasons Garden, near the Visitor Center, and in the Children's Garden. Some of the scarecrows are clever, some are artistic, some are replicas of scouts, some are only a little bit scary—it's a family show, after all—and some will outright make you giggle like the little kid you'll revert to while enjoying the festivity of the 131 scarecrows! And there's definitely a LOT of color...the scarecrow creators—companies, organizations, clubs, and individuals—were quite generous with color! 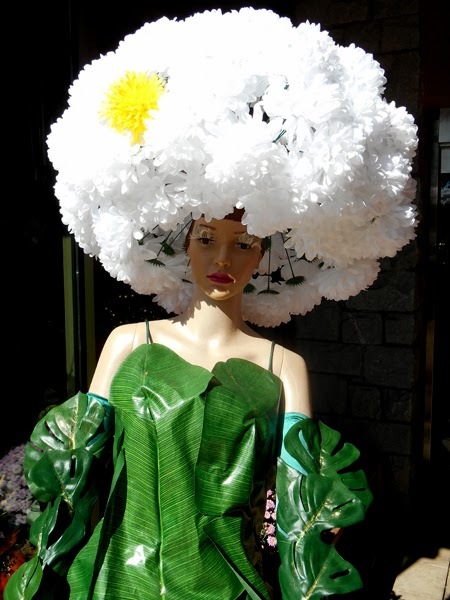 Did I mention that some of them are quite clever? 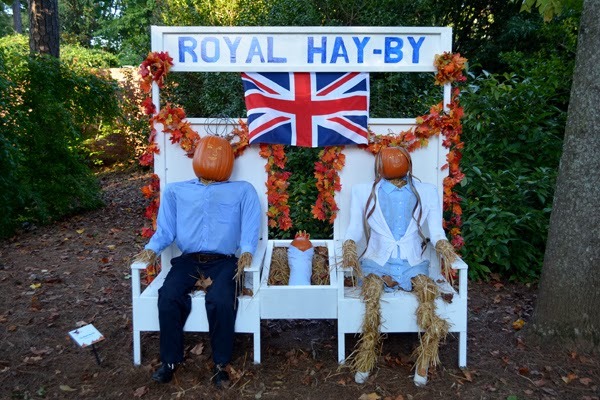 The "Royal Hay-by" scarecrows are brilliant! 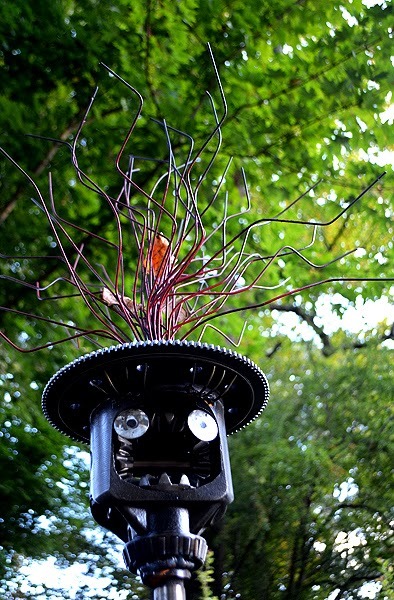 You'll find them in the Children's Garden. Pony rides, train rides, and storytelling will be on the agenda at the Garden on Sunday, October 27, during Goblins in the Garden...fun, fun, fun! 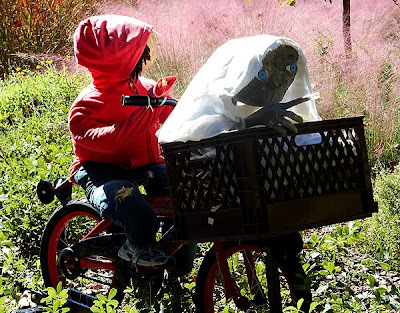 Visitors attending this year's Scarecrows in the Garden get the extra treat of seeing Imaginary Worlds: Plants Larger Than Life, which concludes at the end of the month. 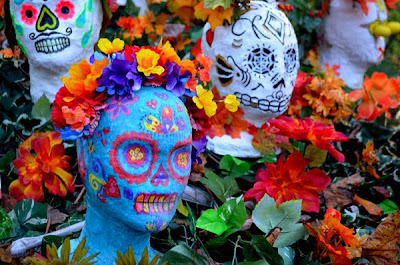 And on October 24, the Great Chefs of Atlanta Pumpkin Carving Contest starts at 7:00 p.m....and the line-up is consistently impressive, as is the carving! During the month of October, for those who can't get away during the day and find themselves super busy on the weekends, Thursday nights Fest-of-Ale just might be the ticket you're looking for. And this coming Thursday is the monthly Science Cafe. This month's program is Mapping Place: Enhancement and Modification Techniques being presented by Gregor Turk of SCAD Atlanta. 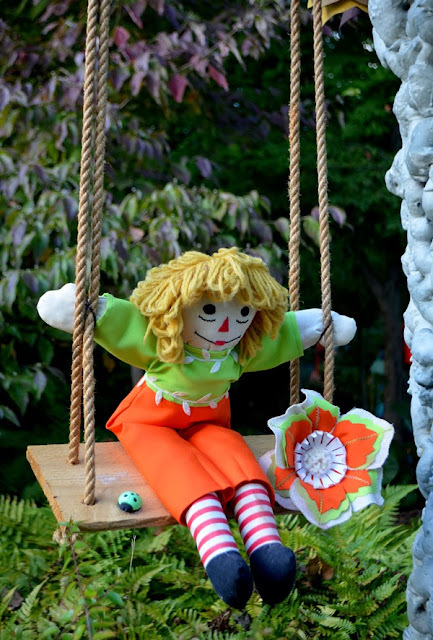 When you arrive at the Garden, you'll be greeted by this beauty...whose incredible "hair" is telling of the fun you'll have inside enjoying Scarecrows in the Garden.